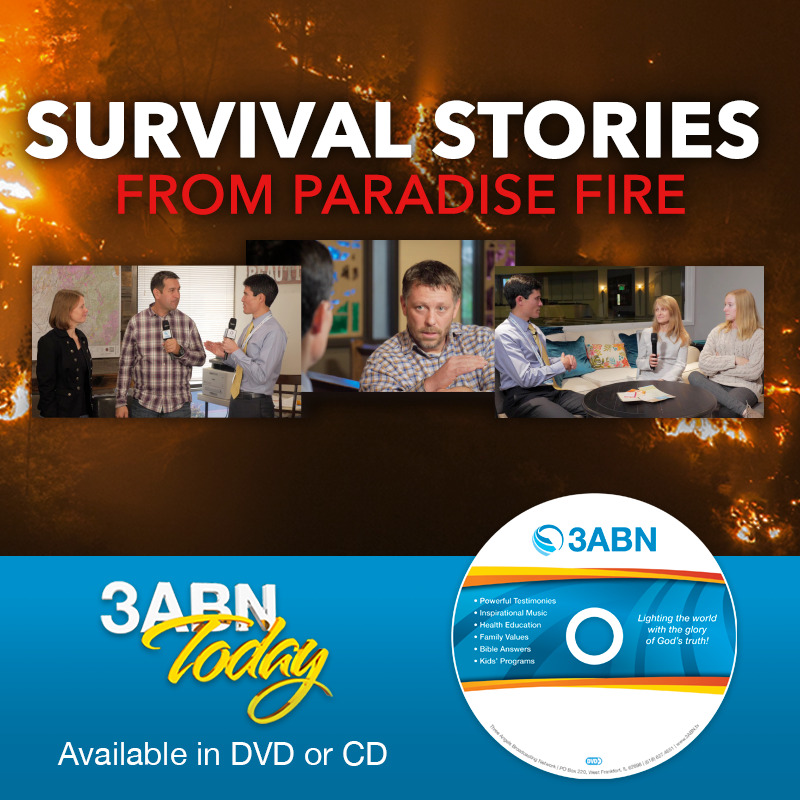 Join Greg and Jill Morikone for real stories of survivors of the devastating fire in Paradise, California—and what you can do to help your brothers and sisters who have lost everything but hope! What was it like to face a wall of fire as you try to escape with your loved ones? What do you do when everything you’ve ever owned is turned to ashes? 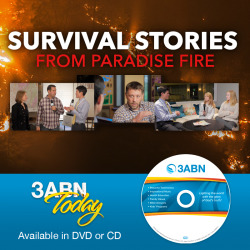 Join Greg and Jill Morikone for real stories of survivors of the devastating fire in Paradise, California—and what you can do to help your brothers and sisters who have lost everything but hope! With special messages from Elder Ted Wilson, President of the General Conference of Seventh-day Adventists, Marc Woodson, President of the Northern California Conference, and many more. Don’t miss this life-changing special report.